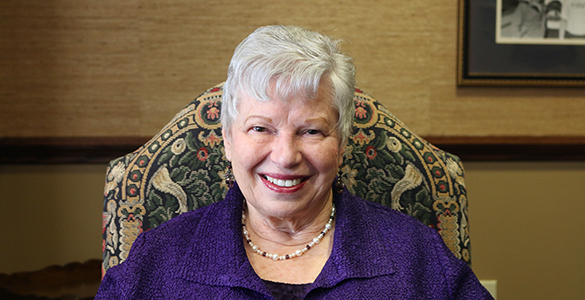 Marjorie (Marge) Hart Anderson 62C 80A will accept the 2019 Jake's Golden Heart Award at a ceremony during May's Commencement activities. The Office of Alumni Engagement is pleased to announce that the 2019 Jake’s Golden Heart Award will go to Marjorie (Marge) Hart Anderson 62C 80A. Named for the beloved Emory Dean of Alumni, Judson “Jake” Ward 33C 36G, the award goes to alumni who embody his generous spirit, commitment to community service, and unwavering loyalty to Emory. Anderson, a New Jersey native, moved all across the United States with her family until entering Emory College in 1958, earning a BA in biology. It was hard work, but make no mistake, she had her share of fun. “Between biology classes, there were just so many wonderful friends,” says Anderson, including a lifelong affiliation with Kappa Alpha Theta. In a time when women were not regulars in post-graduate classes, Anderson was somewhat of a pioneer, earning certifications as a Medical Technologist in 1963 at El Camino Hospital in Mountain View, California, a Master’s in Secondary Science Education at Georgia State in 1974, and then a Bachelor’s of Medical Science in 1980, at what is now called the Physician Assistant Division of Emory University School of Medicine. As Anderson meets students, she also mentors them and provides a scholarship in memory of her sister who died in a car accident seven years ago. “It’s the Sandra Ruth Hart Marjorie Hart Anderson scholarship,” Anderson says. “It's a general one, and thus far I've had five students go through, three of whom are still in school.” She also supports and serves on the steering committee of the Physician Assistant Studies Program at Presbyterian College. Out in the community, Anderson is an avid square dancer and an active member of Peachtree Presbyterian Church in Atlanta where she volunteers with local mission projects and has taken international mission trips to Costa Rica and Egypt. She also volunteers in the Choir Music Library. She is involved in Presbyterian Women, which helps support Days for Girls, an organization in Malawi that provides personal necessities so girls can attend schools, and also plans to help provide sewing machines. She is a member of the Junior League of Atlanta, focusing on projects supporting inner city children. 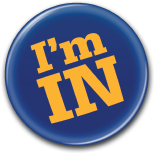 Editor's Note: Do you know an Emory graduate with a generous spirit and unsurpassed loyalty to Emory? Find out how you can nominate them for Jake's Golden Heart Award. Do you think you've demonstrated distinguished service to Emory or the Emory Alumni Association, service to the community, or outstanding professional achievement? Nominate yourself for one of our prestigious awards.